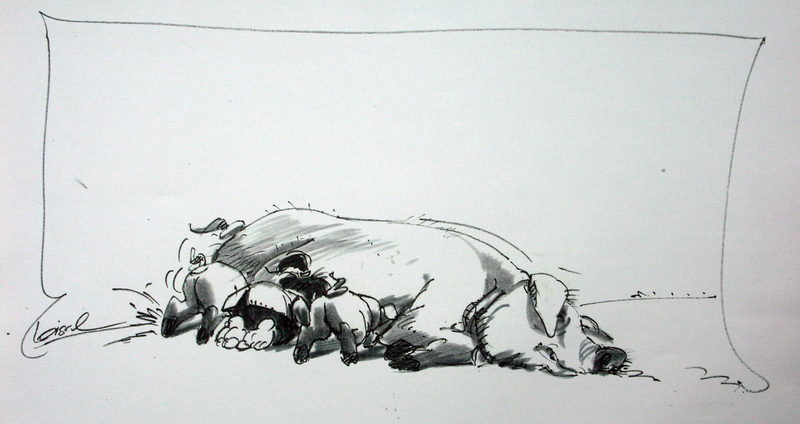 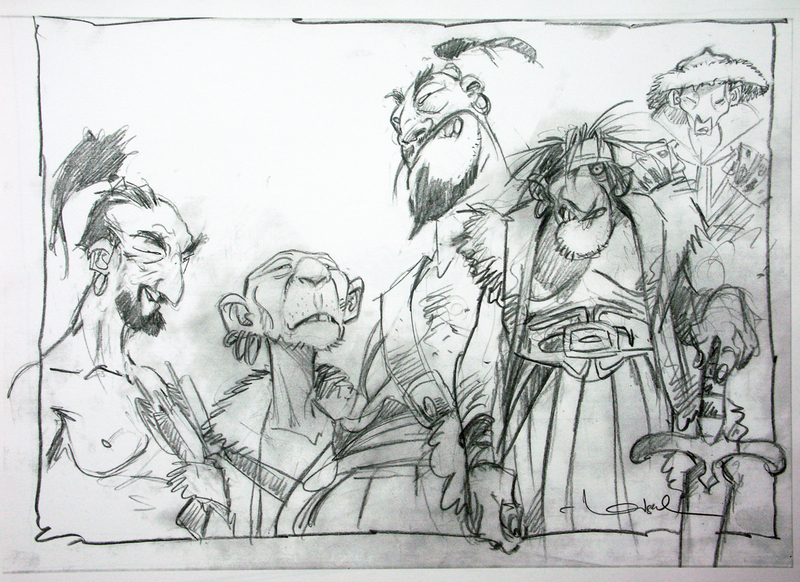 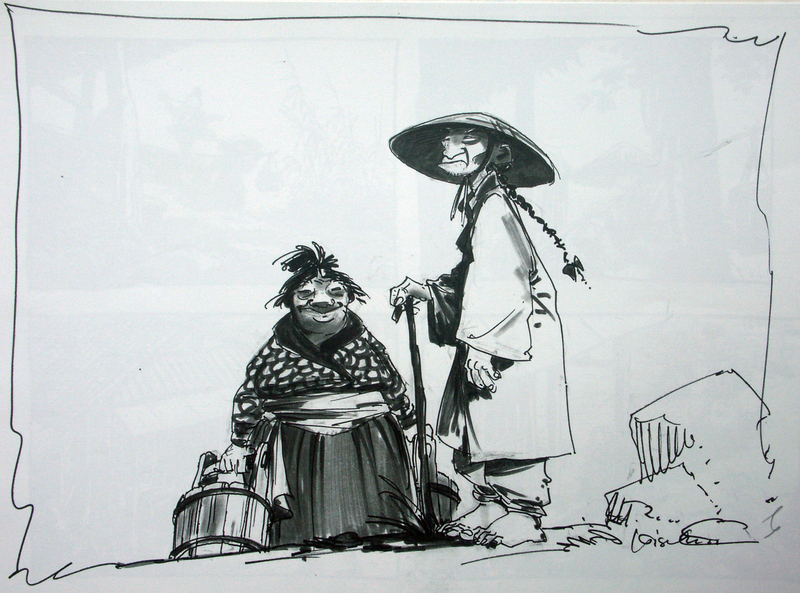 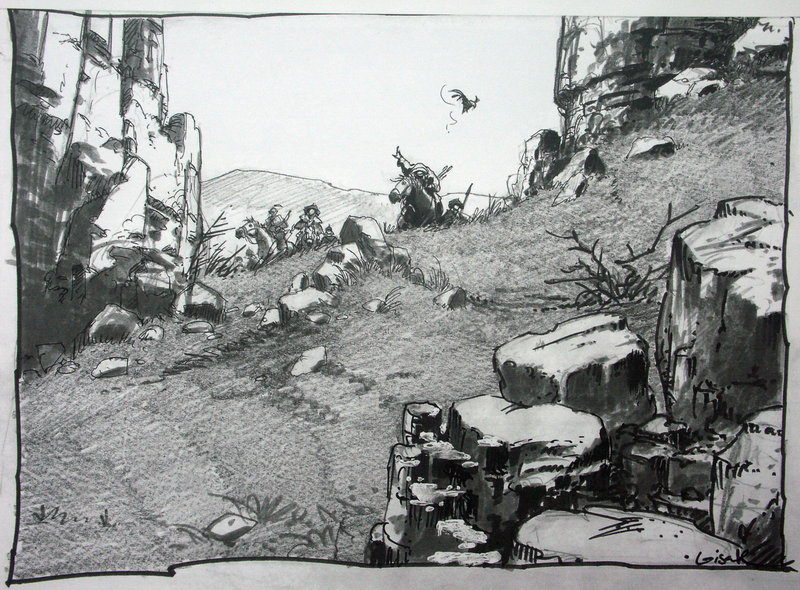 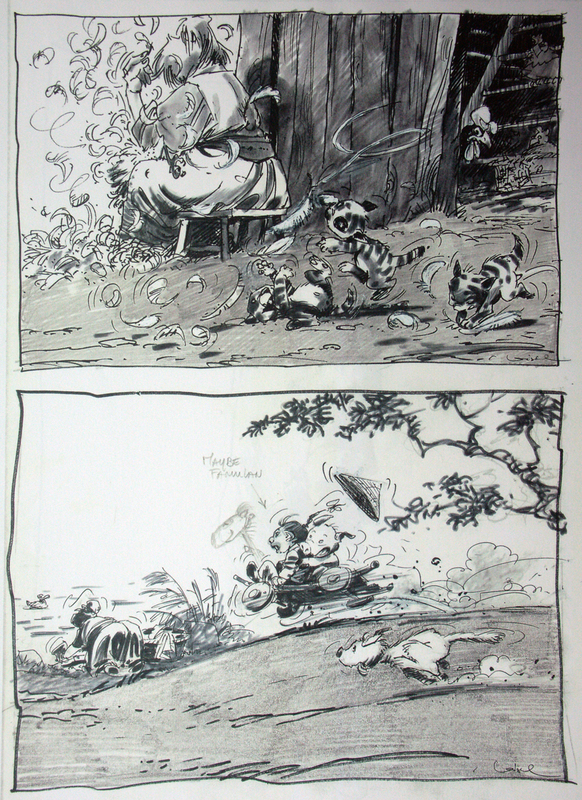 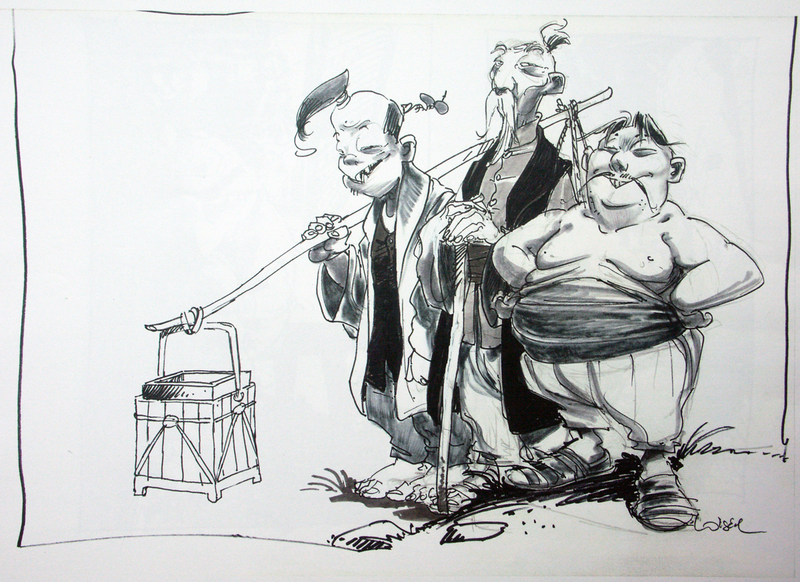 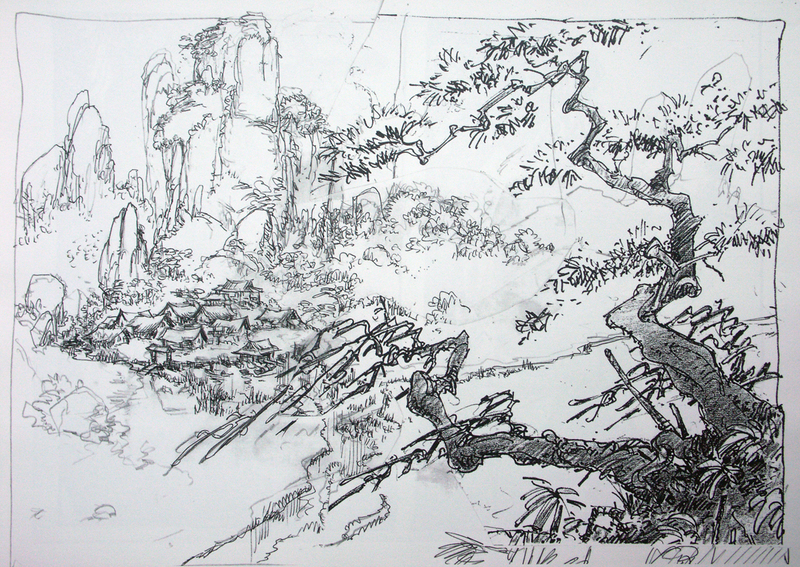 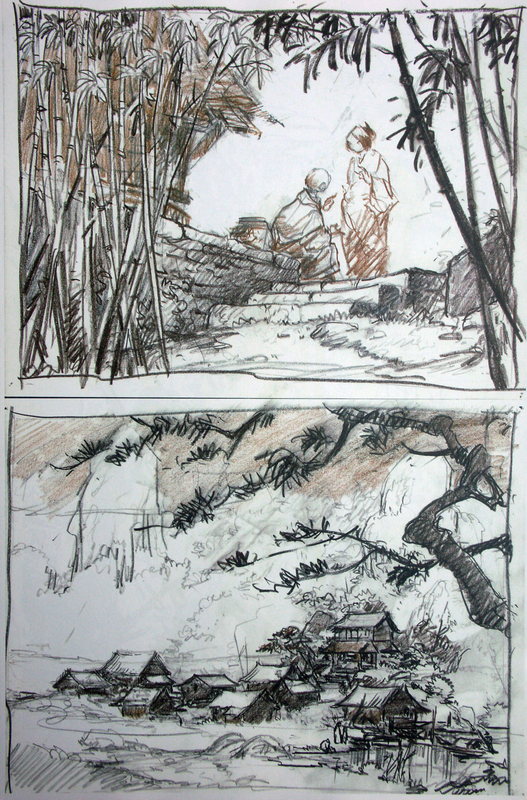 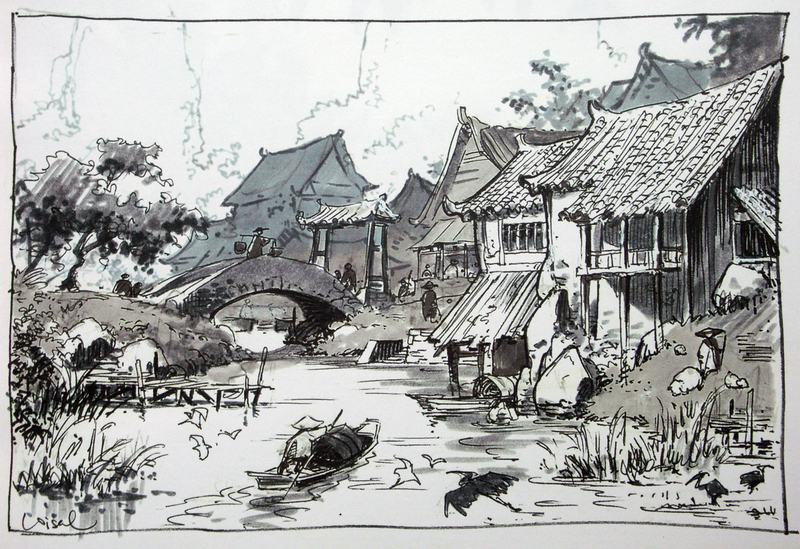 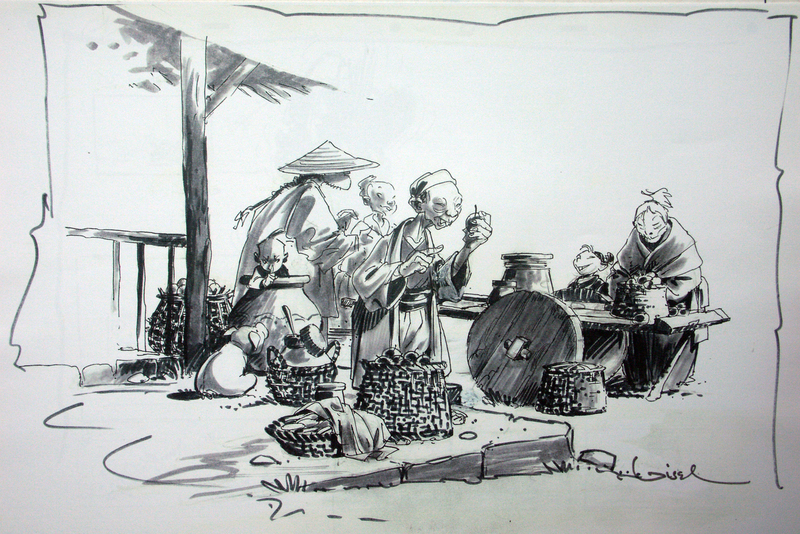 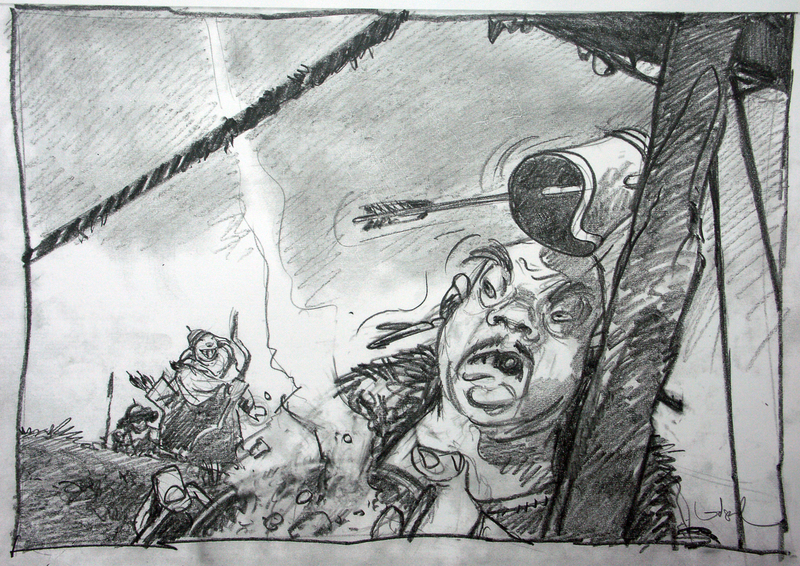 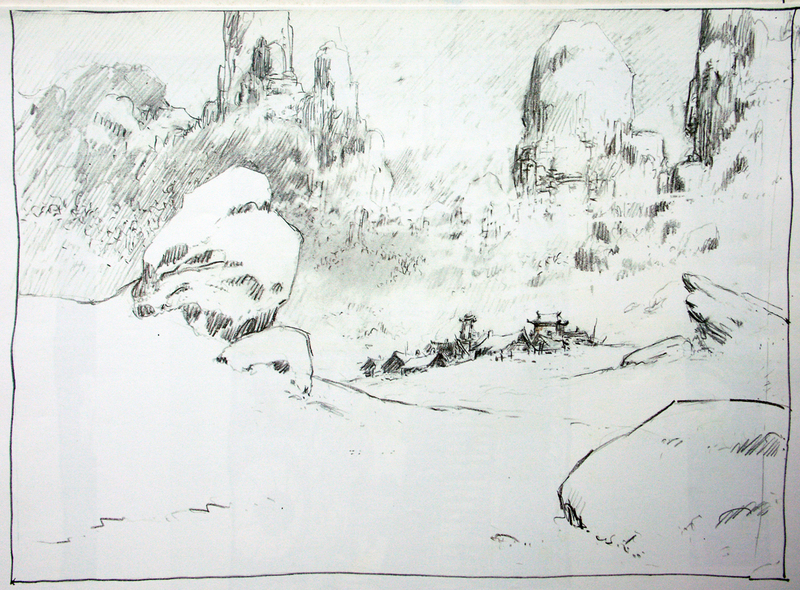 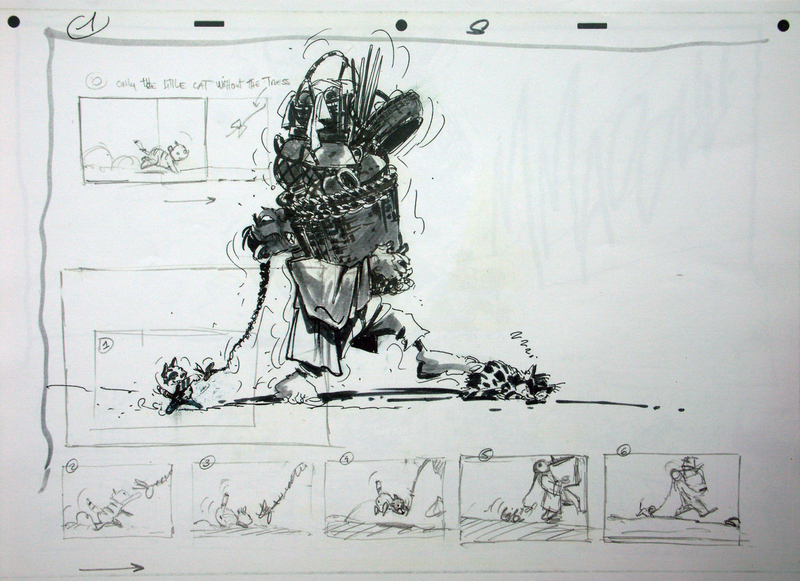 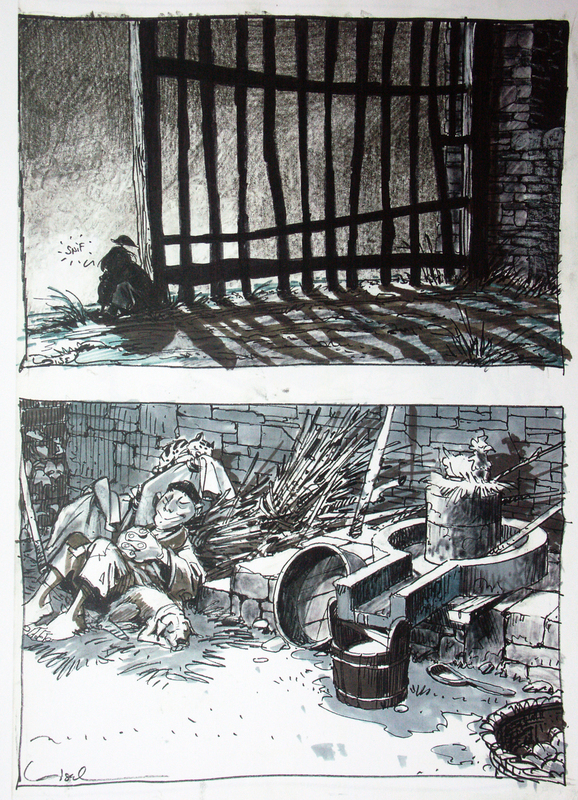 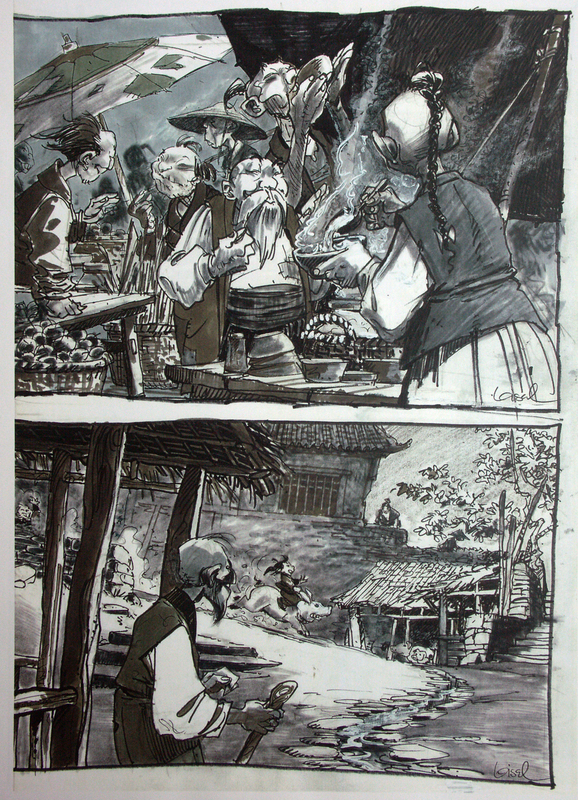 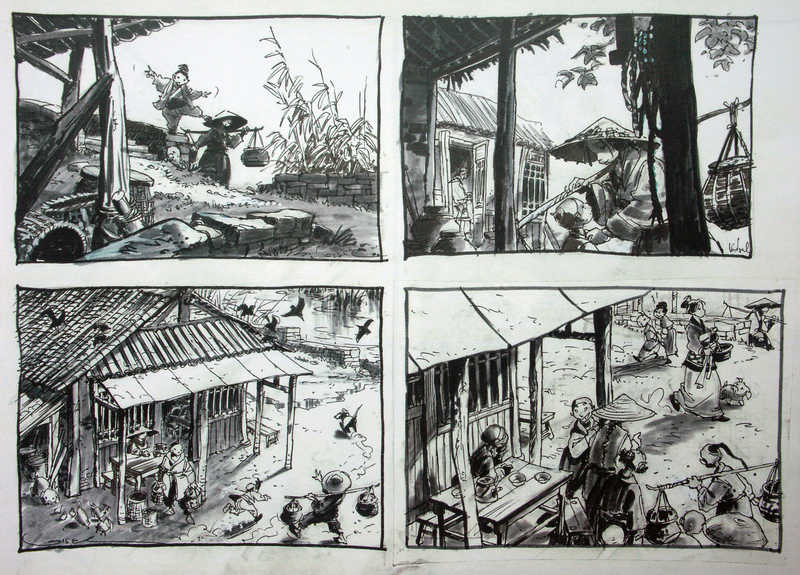 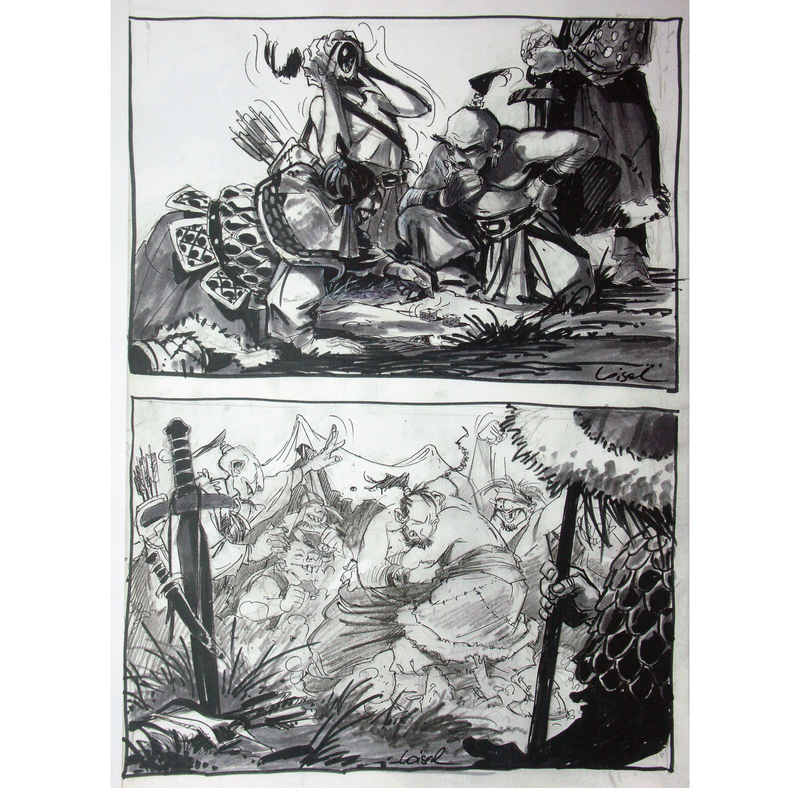 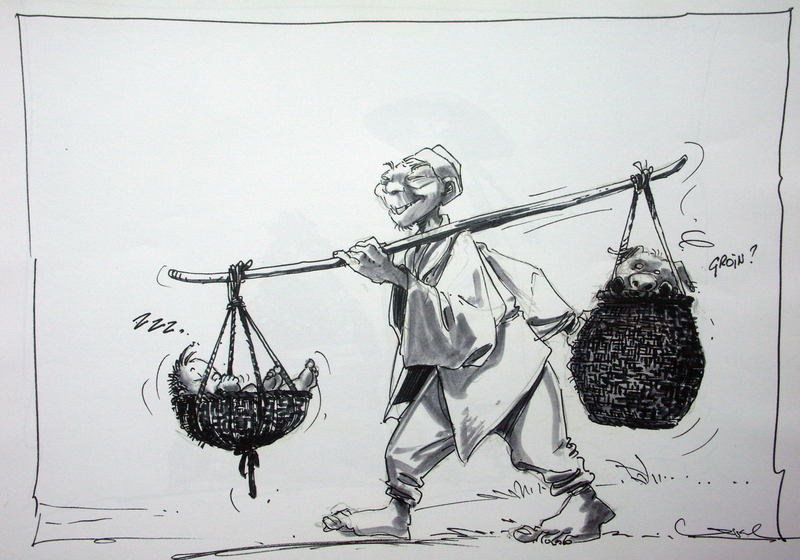 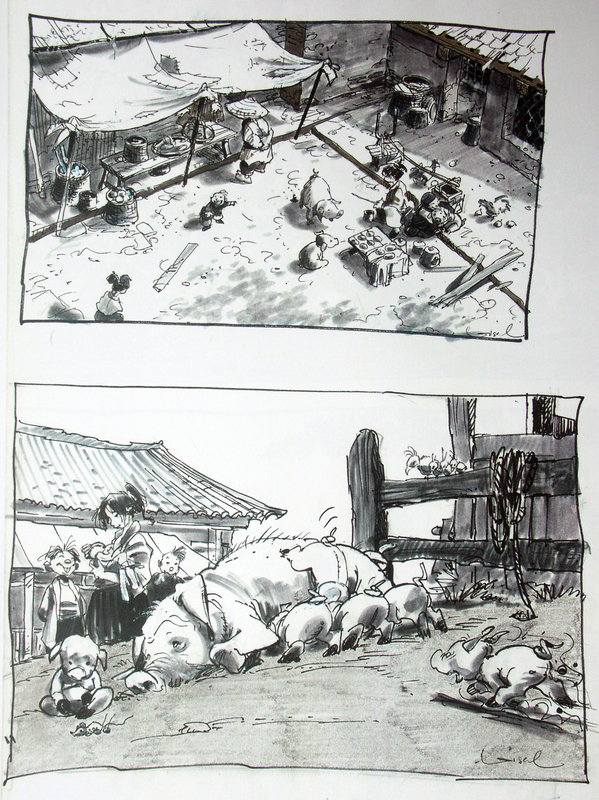 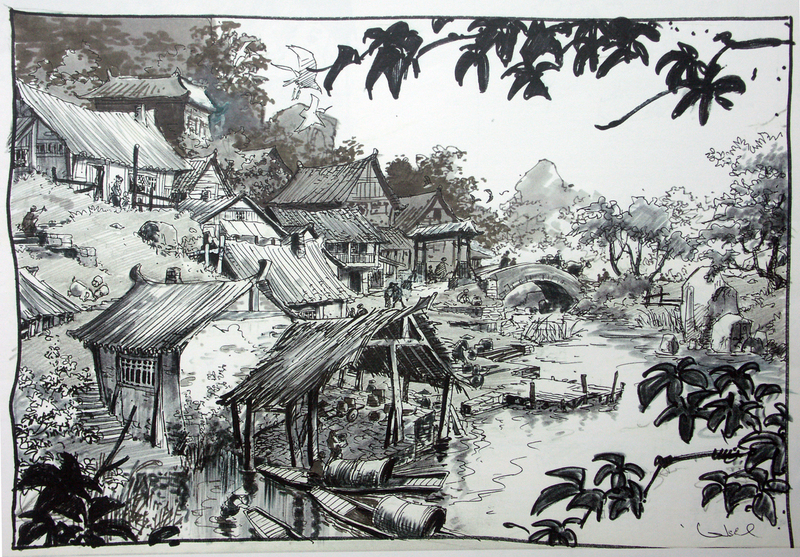 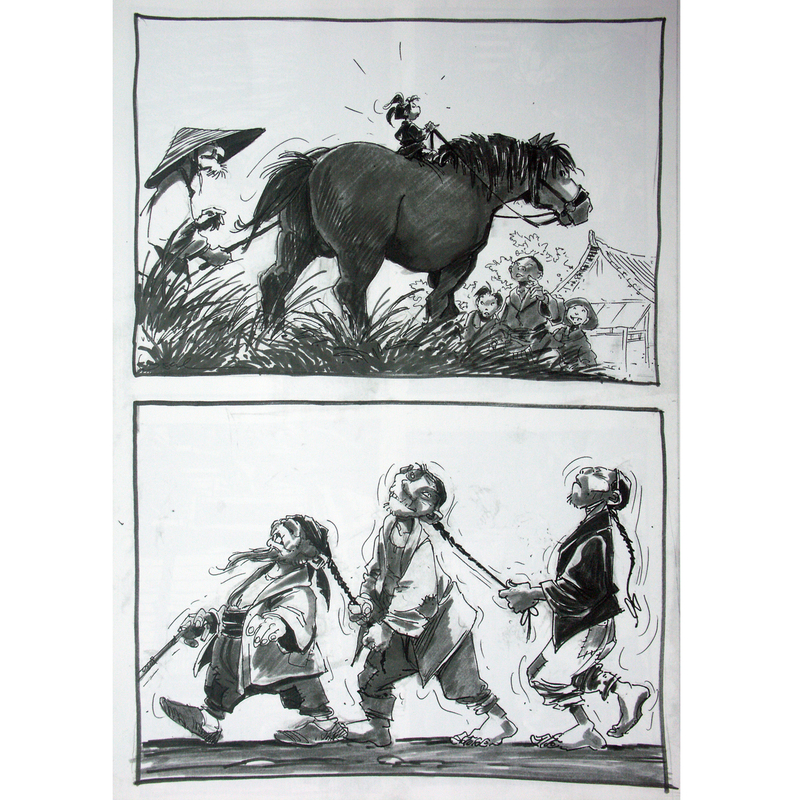 before I am gonna show more of REGIS LOISEL’S designs he did for disney’s MULAN, some more of his stunning artwork in his comic strip series PETER PAN. 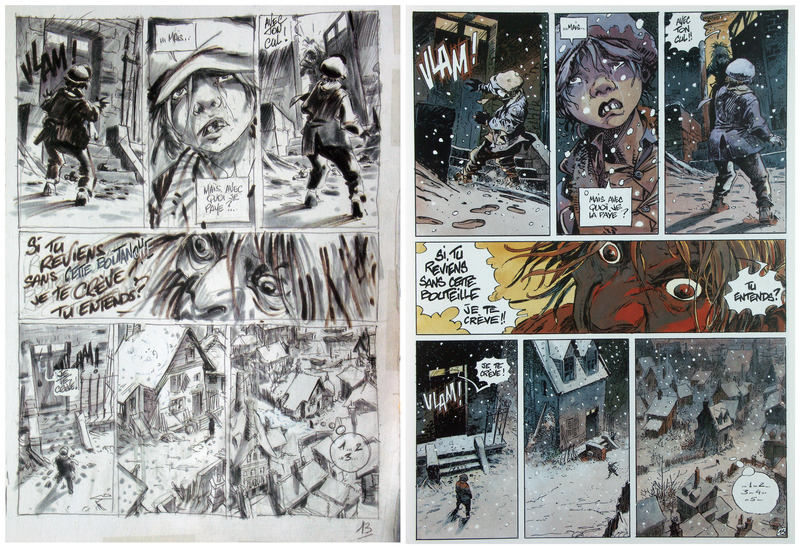 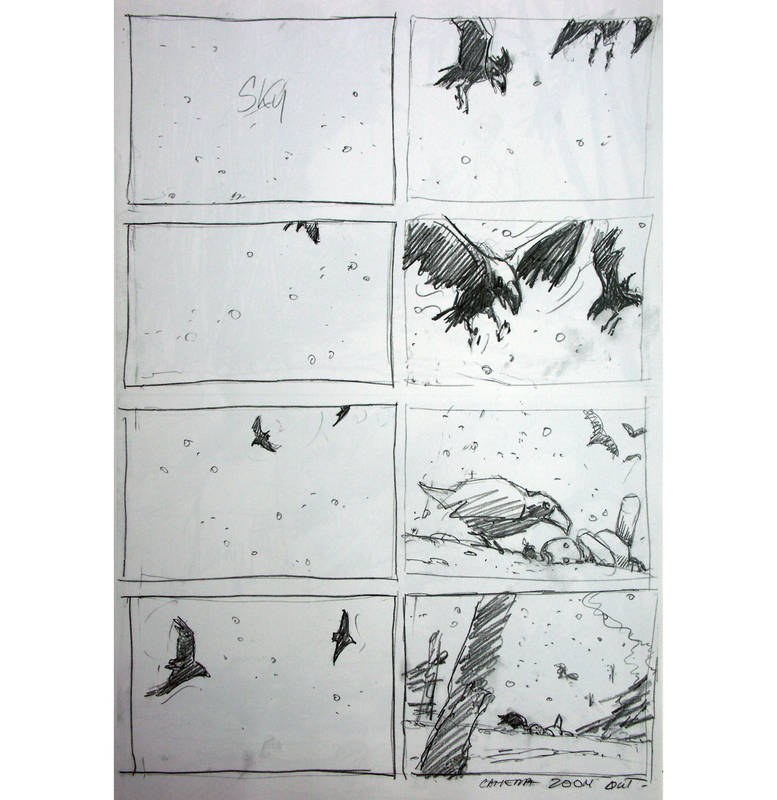 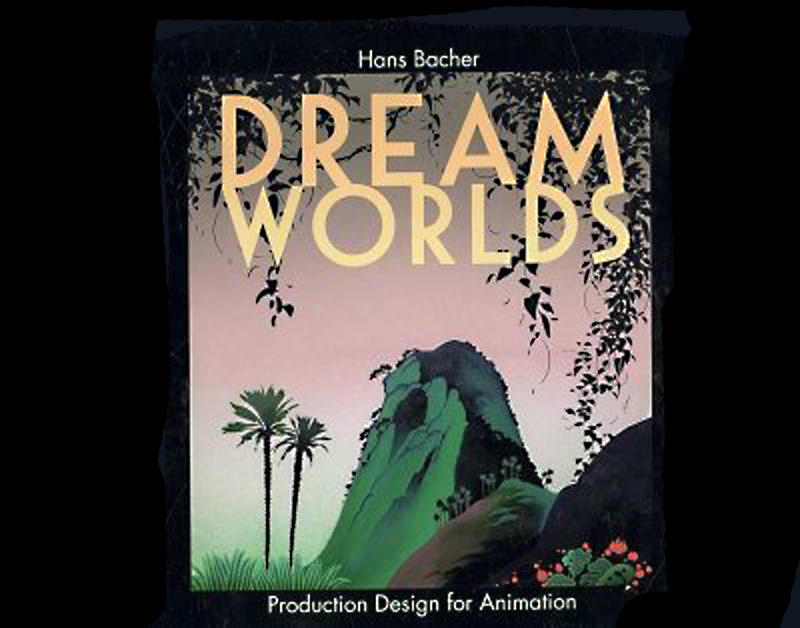 he wrote the story, came up with the layout, did all the artwork (incl.lettering) and colored everything. 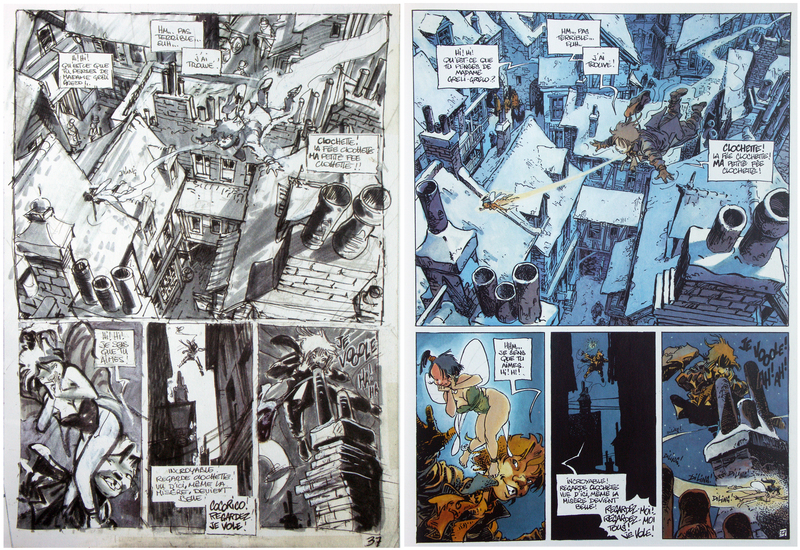 the panels read like a film, the staging is flawless, not too talk about the composition and the use of textures in the backgrounds. 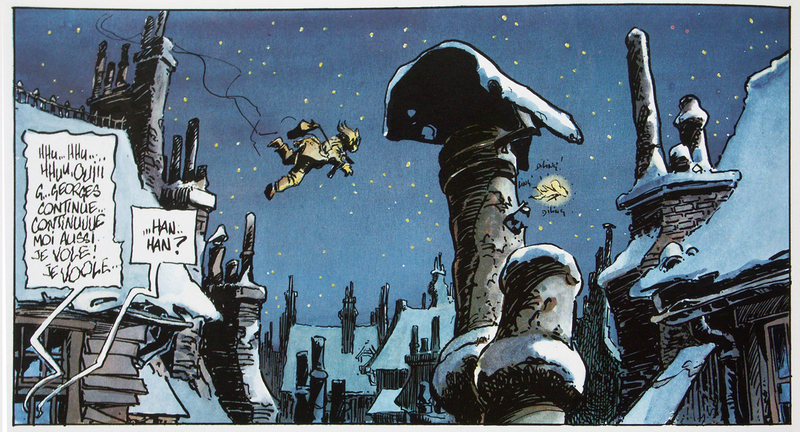 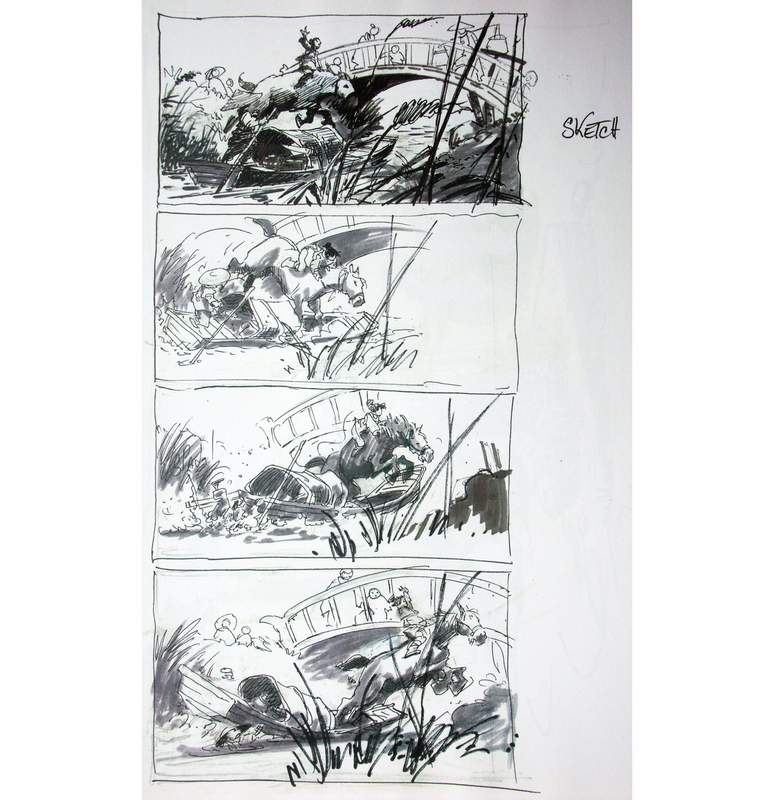 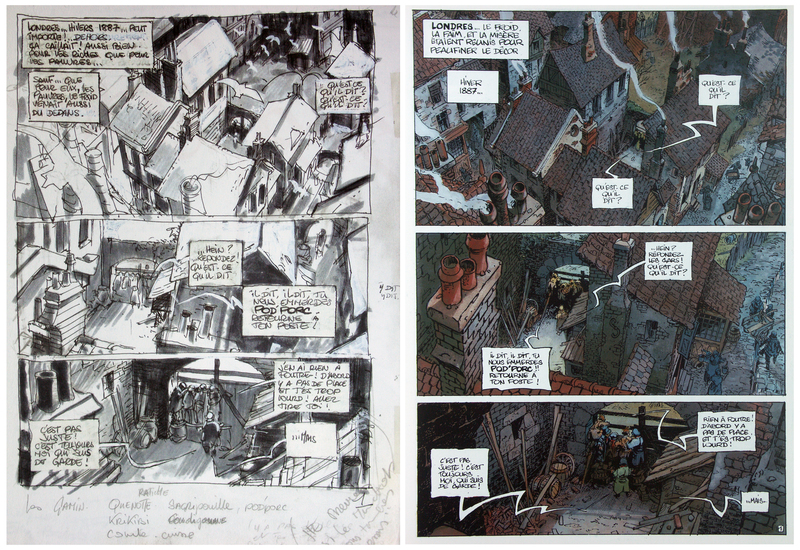 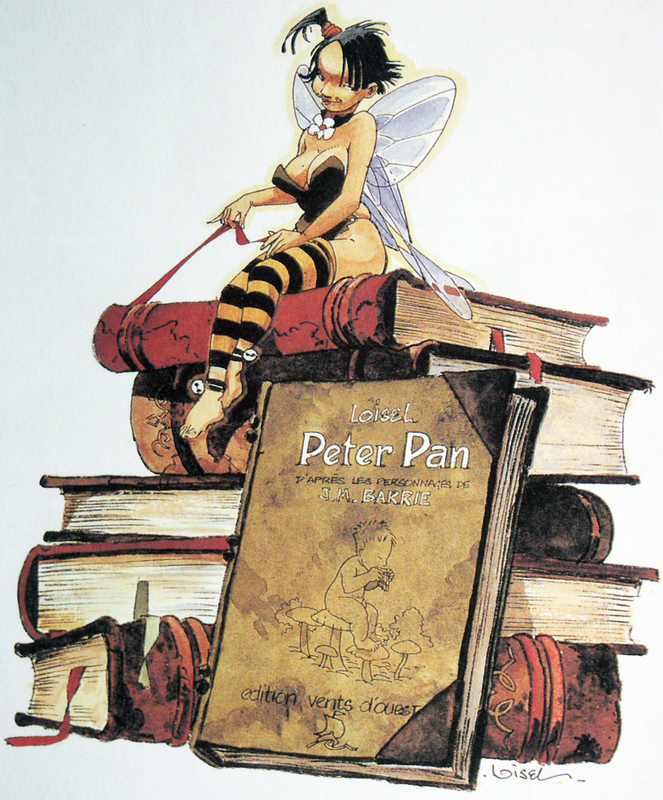 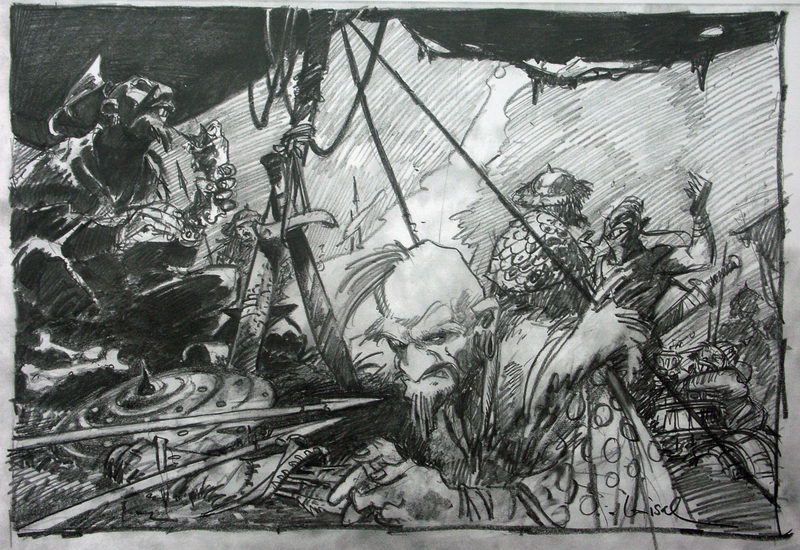 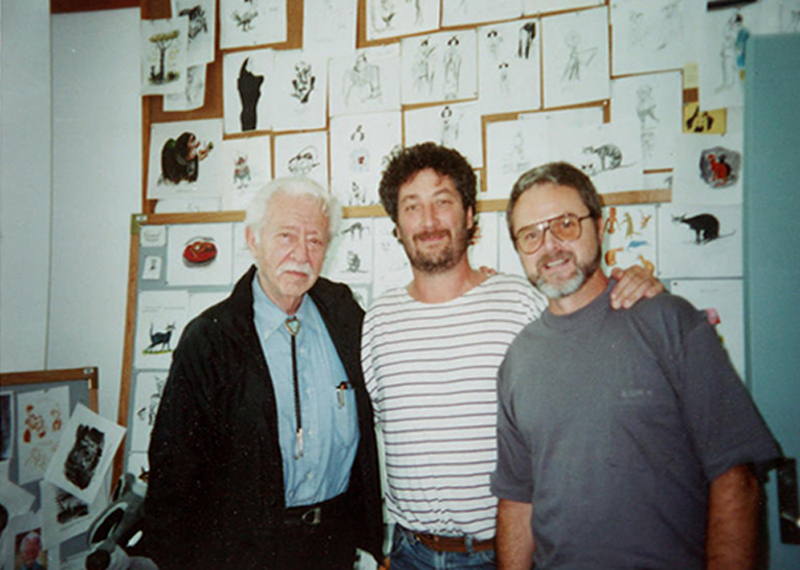 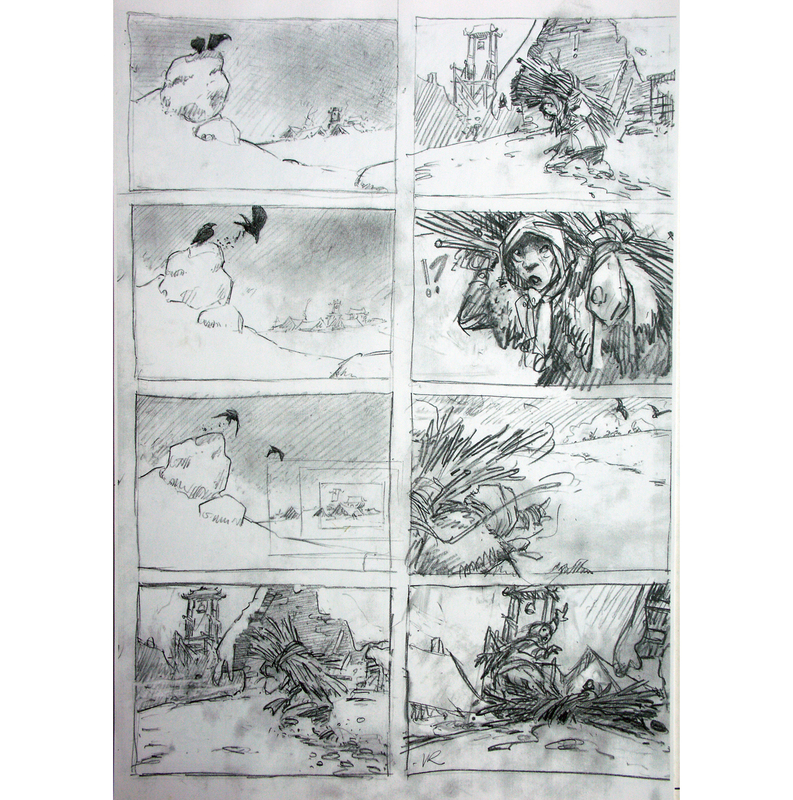 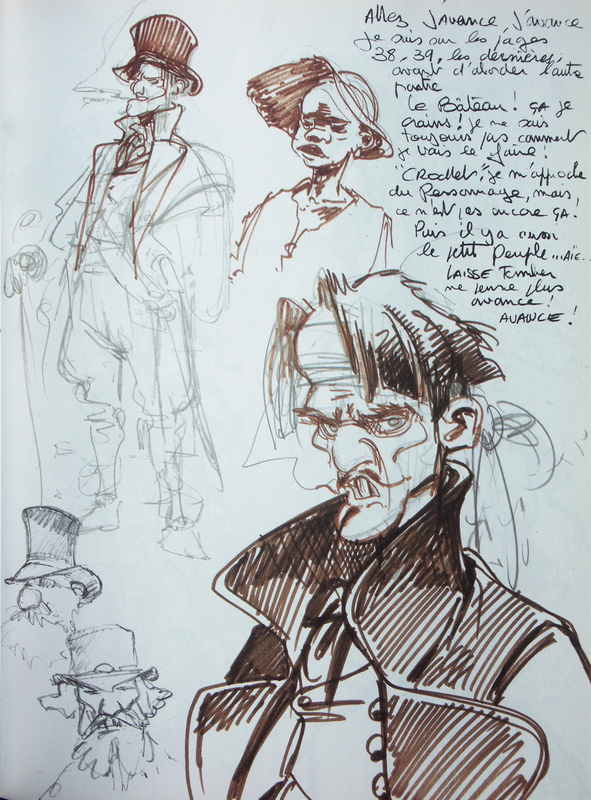 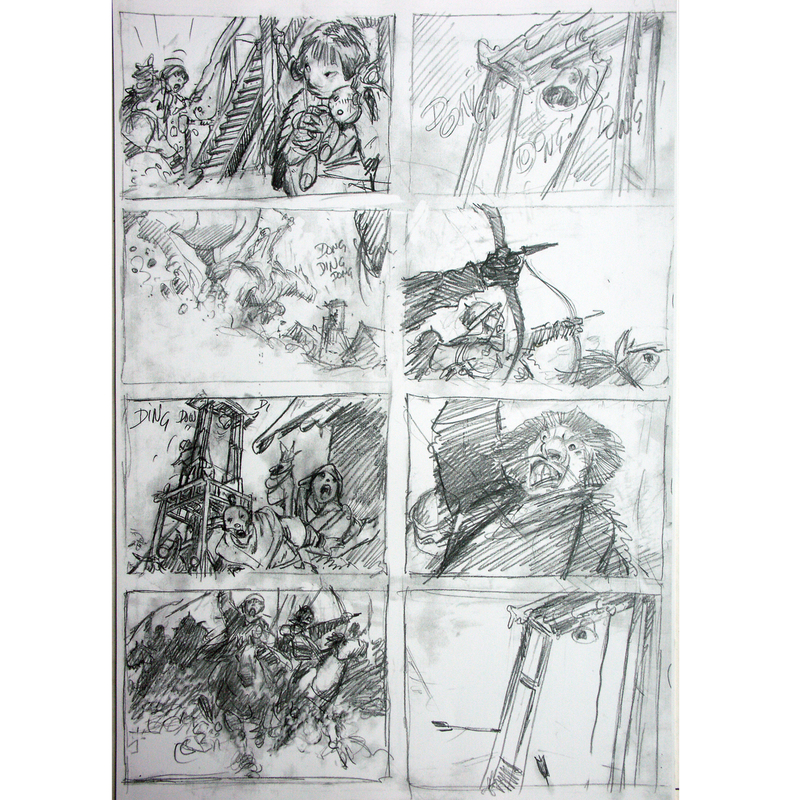 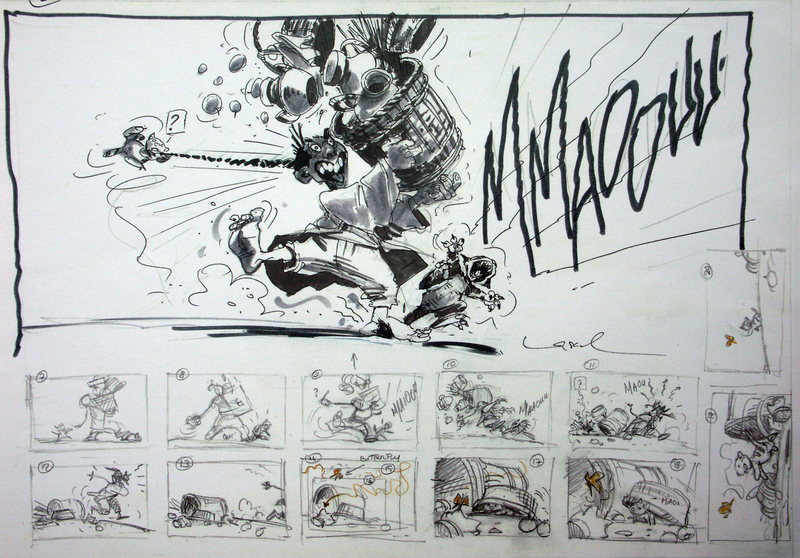 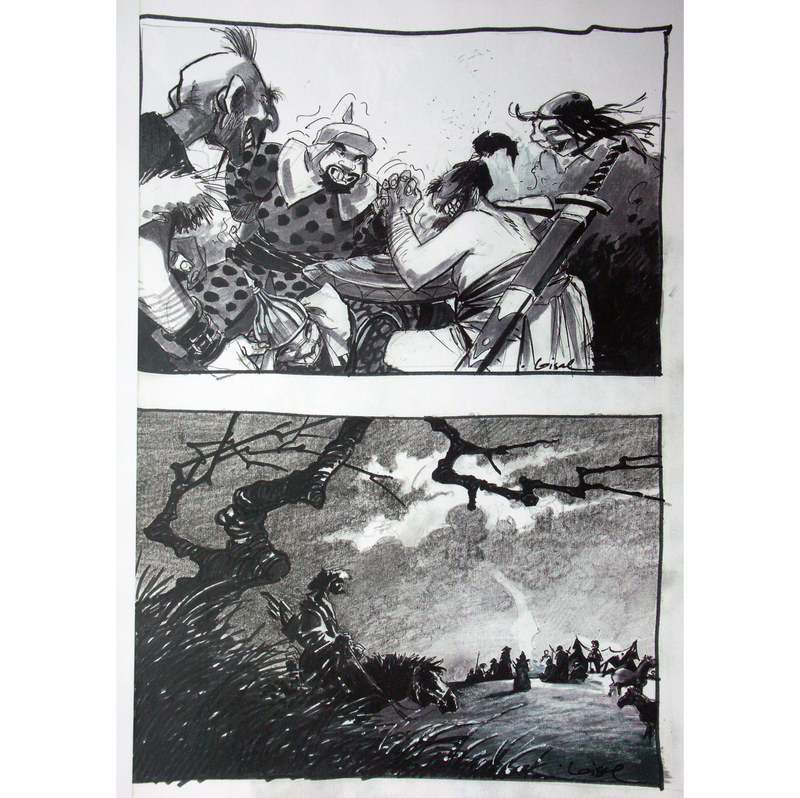 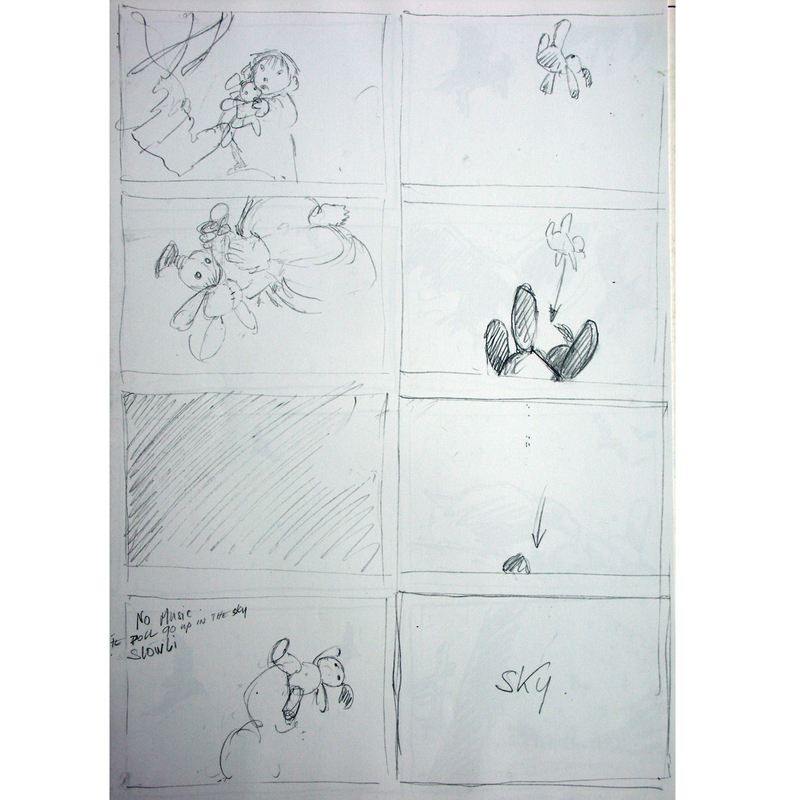 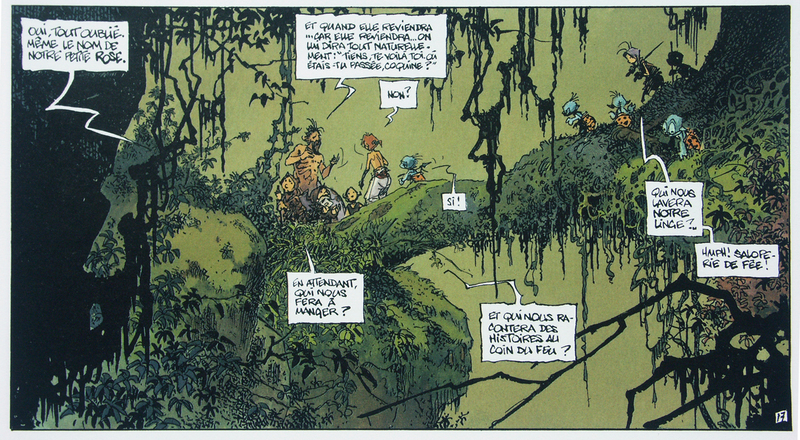 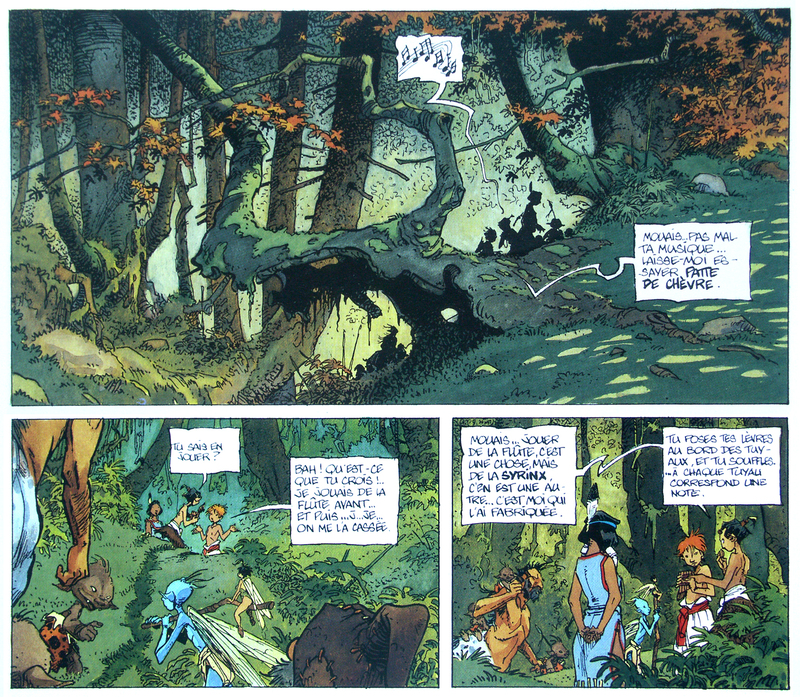 for everybody who is not familiar with REGIS LOISEL’S comic-strip work I am posting some pages, sketch-page and final color-page, as well as some character designs from his PETER PAN comic-strip version. 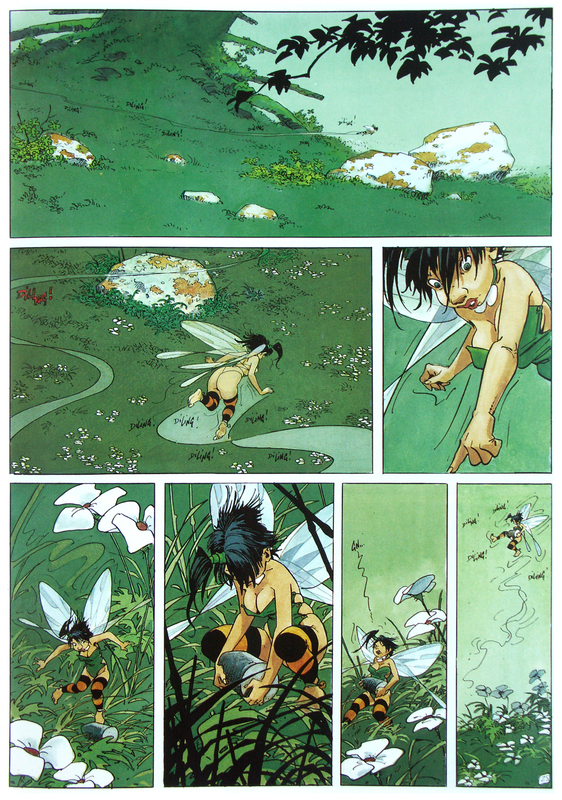 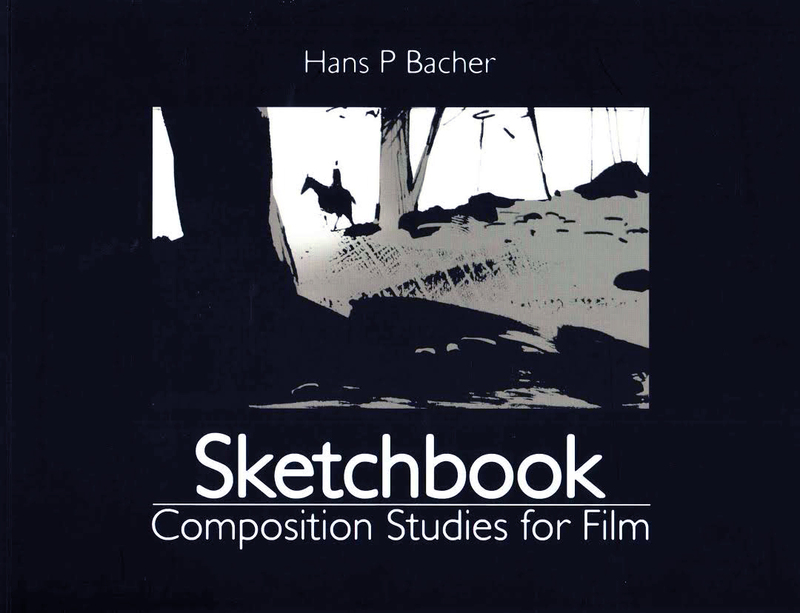 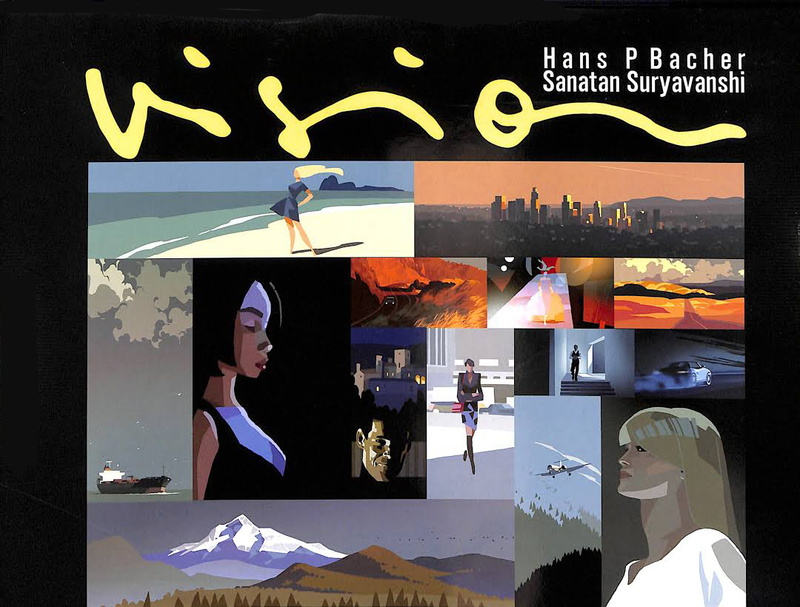 the six-volume series was published in france between 1990 and 2004 by EDITIONS VENTS D’OUEST ( http://www.ventsdouest.com ). 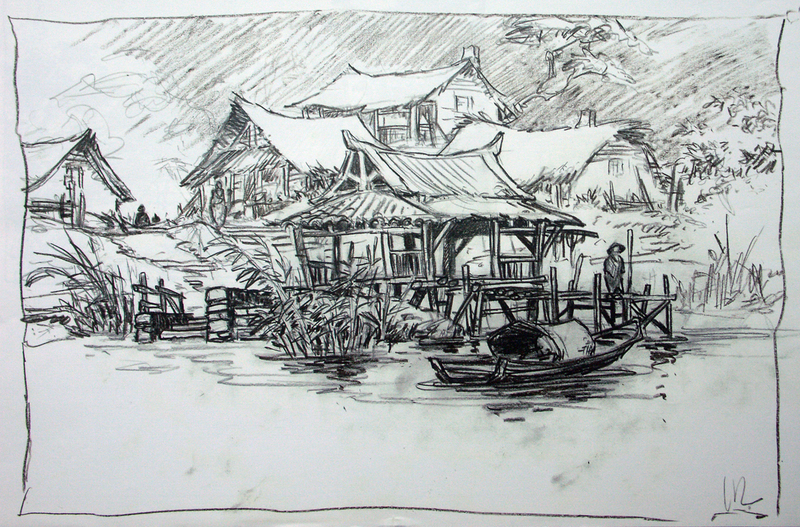 the titles of the series are – LONDRES, OPIKANOBA, TEMPETE, MAINS ROUGES, CROCHET and DESTINS. 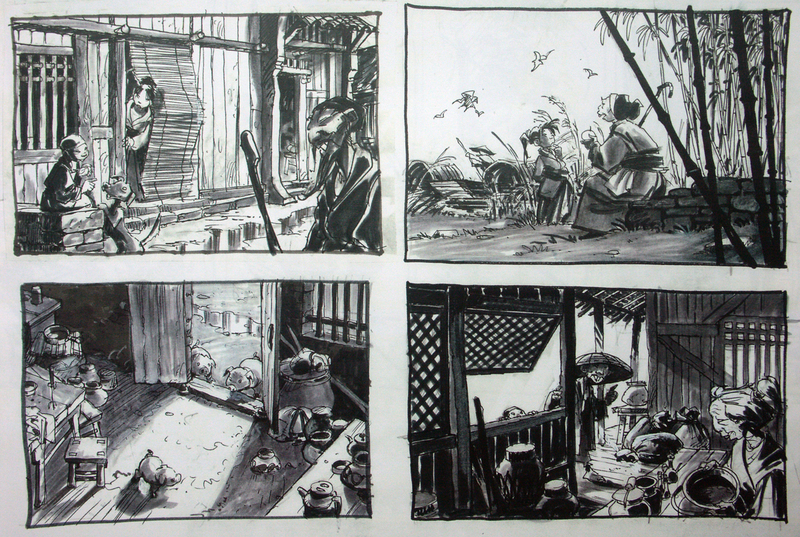 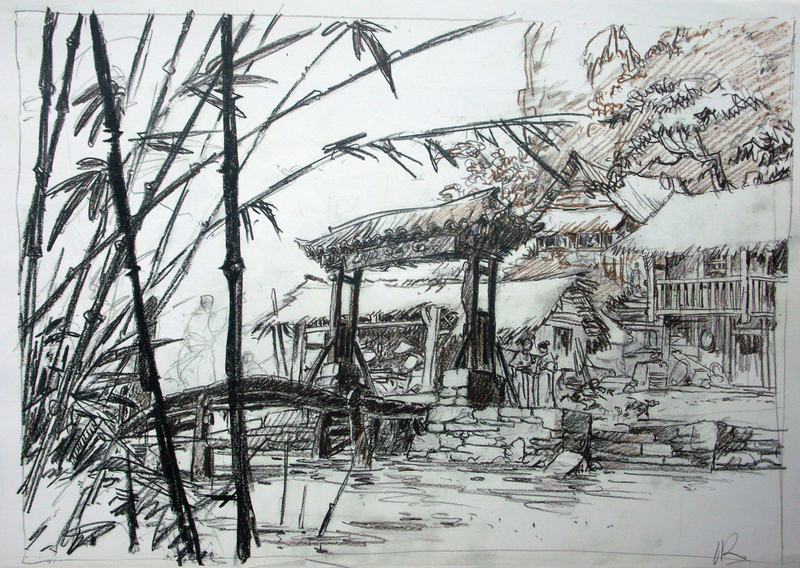 next will be more of REGIS’ MULAN designs.